Find your industry gaps, understand your customers and competitors and objectively assess your own capabilities. Then, combine the five essential marketing plays as your business evolves. Zagula and Tong present five key marketing strategies and a method for evaluating which is appropriate at any given time. 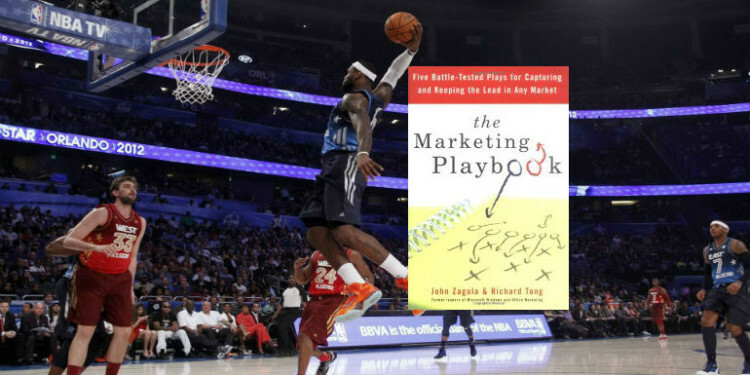 The first part of the book lays out the plays and the second part discusses how to assess your market and move from one play to the next for maximum impact. Once you’ve assessed the current market conditions, defined the opportunity you are pursuing and your future vision, you can select from the five plays based on your market position, competitive strengths, and customer needs. The book outlines five essential marketing plays: The Drag Race, The Platform Play, The Stealth Play, The Best of Both Worlds, and The High Low. The Drag Race is a direct attack on a single competitor with a single product; the first one to the finish line wins. The Platform Play invites others to support your growth and longevity and requires the creation of value and ease of use for the entire industry. The Stealth Play is used when you’re at a disadvantage and need to retrench or regroup while growing to a stronger position. The Best of Both Worlds combines previously separate segments of the market into a new offering and requires you to put your weight behind a new offering. The High Low seeks to execute a one-two punch against a middle-of-the-road competitor and deny them market space for their Best of Both Worlds offering. When executing a Drag Race, you are positioning yourself as “better than…” your number one competitor. You’re using a single product and pricing to ensure you don’t lose deals. This is a game of feature wars and winning product reviews. The Platform Play position is “As an industry…” with an established core offering that is supported by partners. The focus of your business is to make money for your partners. Marketing momentum is gained through partner events and industry wins. The Stealth Play “extends platform with…” and has a smaller, more specific focus. Pricing here is as high as your niche will bear and promotions are low profile. You are the partner here, not the platform. For Best-of-Both Worlds, you’re positioning yourself as “why choose?” Like the Drag Race, you have a single winning product with value-based pricing. Broad appeal is the key here since you’re covering all bases. With the High-Low, your line is “why compromise?” You will have a low-end and high-end offering that are priced accordingly. Promotions work both ways as you can go up- or down-market. Although the five plays are presented individually in the book, there is a natural flow to them as a business grows and changes over time. For new entrants, niche players, or emerging challengers with limited scope, the Stealth Play is a good choice. As a defensive posture, it provides protection for a weak market position. As a company becomes more powerful in the market, the Drag Race becomes a good option. Conversely, a former Drag Racer who is losing power may want to retreat to the Stealth Play to rest and recuperate. Companies can move between the Stealth Play and Best-of-Both Worlds or High-Low, depending on their product and market power. For companies with strong product power, the Best-of-Both Worlds can be a good transition from the Stealth Play. For those with strong market power, the High-Low is a good fit. Companies can also move between Best-of-Both Worlds and High-Low. The High-Low play allows you to re-segment the market by creating a new offer. Although the Drag Race can provide a decisive win, it is not the end-game. A new offering may need to start in Stealth mode. Or, the company may want to seek the high ground of a Platform Play next. The Drag Race can be run against a competitor who is currently operating a Platform Play. Zagula and Tong give several examples of business leaders who were able to capitalize on market conditions. Although Henry Ford is known as the inventor of the mass-produced automobile, there were many other key contributors to the technology and enabling conditions that created a marketplace ready for his products. To replicate this type of analysis, start with reviewing the history of your industry to understand how it got to be the way it is and what contributing factors are at play. Next, look for gaps and openings and “isolate key economic and other levers”, such as reliability and cost, that are required to take advantage of the opportunities. Finally, get everyone focused on moving the specific levers you have identified. Zagula and Tong map out a standard industry analysis which aims to identify a current and future state of the industry with a specific gap that your company can fill. The future state creates your vision and filling the gap becomes your mission and rally cry. Common questions to ask include why are things the way they are, and what are the trends. Introspection is valuable as well–what role does your company want to play in getting to the future state? To perform an effective customer analysis, be willing to ask uncomfortable questions and hear harsh feedback. Your customers are always shopping for alternatives and they are the ones that define your offering. A key tool is “follow the money”–everywhere and all of it. Find out who makes purchase decisions, who pays, and who benefits from a purchase of your product or service. While your customers define the offering, your competitors define how you differentiate. As with customer feedback, don’t underestimate your competition or downplay their strengths. The more objective and honest you can be, the better off you will be. Following the money is key here as well–understanding the business models of your competitors will enable you to improve your position and strategies. Be expansive in your definition of competitors–the competitive field in your customer’s minds is broader than just your immediate vertical category. A key theme of the second part of the book is “know thyself.” The authors stress the importance of being honest in your evaluation of your customers, competition and your own capabilities. A clear understanding of your current state will provide a solid foundation for getting to your desired future state.